February 24, 2012. This piece was dedicated to Dinu Ghezzo. 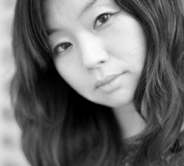 ChanJi Kim composes for dance, chamber ensembles, orchestra, and multimedia. Originally from Seoul, Korea, Chan Ji studied at E-wha Women’s University, New York University, and received her Ph.D. in Composition from the University of Florida. Dr. Kim is Associate Professor of Music at the Eastern Florida State College. Her research and music areas of interest include collaboration between composer and choreographer, Korean folk music, and interactive electroacoustic composition.